Rapper Drake’s ‘In My Feelings’ was released last month, but a spin-off trend has become more popular than the original. 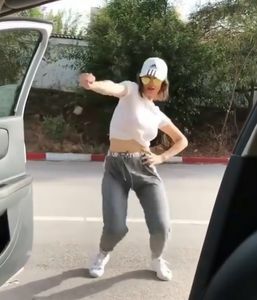 People jump out of their cars and dance to the chorus, which starts with the lyrics “Kiki, do you love me?”. They dance with the door open and the car moving slowly, while a person inside records the act. The “Kiki challenge” spread like wildfire, with even celebrities like Will Smith taking to it. But, it is leaving traffic cops worldwide worried. On Twitter, various Indian city police forces posted innovative warnings about the dangers of this challenge. The Delhi Police tweeted “Dance on the floors, not on the roads!”, with the cartoon of a man dancing next to an ambulance.